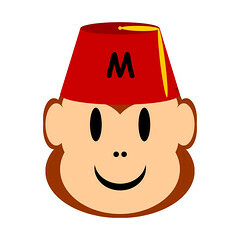 Introducing Mez the Monkey in a Fez as created by yours truly! Mez likes quoting movies and 80's taglines like "Just Say No." He appears on various apparel and tchotchkes in my Cafe Press store.